Last week, iOS developer/hacker @chpwn was showing off a new animation he was working on for the Notification center. This new animation pulls your home screen down to reveal the notification center, rather than pulling the notification center down over top of your home screen. This allows you to see the top of your notification center first, instead of the bottom. 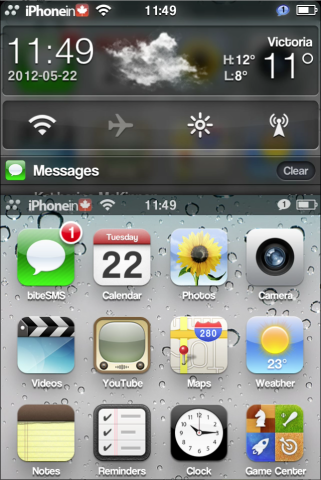 This new animation has been released in an update to chpwn’s popular tweak “Zephyr”. Zephyr has been out since January of this year. It brings multitasking gestures to the iPhone and iPod Touch, and a lot more It now includes this new notification center animation, as well as landscape support. Zephyr is awesome multitasking swipes for your device. Switch apps by swiping left or right from the edge of the screen. Quickly peek at notifications and widgets, like the weather. The best way to really multitask. Zephyr fully supports iOS 5.1.1, as well as iOS 5.0 and iOS 5.1. If you don’t already have Zephyr, you can find it in Cydia, in the Big Boss repo for $2.99. 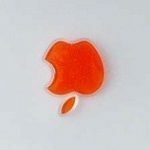 Do You Know Why Apple Laptops Used To Have An Upside Down Apple Logo?